“Lectory has a strong influence on my teachings. The students not only read the text, but have also discussed it in detail. As a teacher, I have participated in this process and can immediately begin with the concrete questions and problems of the students in the classroom." Reading has always provoked a response. 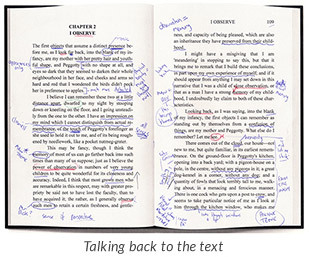 “Talking back to the text” is a reader’s natural instinct. Social Reading with lectory turns this dialogue with the text into an online discourse among readers in which one comment provokes another. 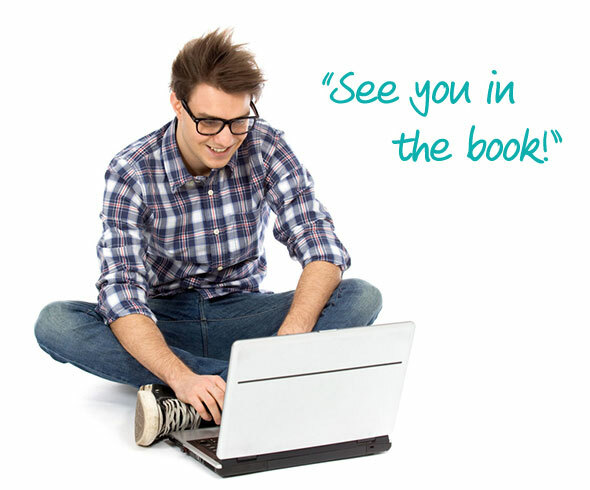 The result is a collaborative commentary and a collaborative learning experience and a feeling of reader community. As a long time provider of sophisticated services to the international publishing industry we have developed a concept for a versatile and universal Social Reading platform. Lectory has been developed by an experienced team of experts in the fields of publishing, digital content and didactics. Over the last years the platform has been tested in classrooms all over the world from high school (K12) to University level. Lectory shines especially in two areas: Social Reading in educational context and as a marketing and work flow tool for publishers. Lectory helps students to understand texts more deeply and enhance their digital competence. Teachers will find that lectory helps them to teach more effectively and achieve a deeper engagement of the students with the texts by making them digital, interactive, crossmedia and networked. In general, education is the perfect example for a Social Reading environment. A defined group of people needs to jointly read one book or text in a defined time frame. Guidance by a group leader is required. Your teacher’s comments, assignments, underlines etc. are already done for you. You can edit them and then make them step by step visible for the students in their version of the book. In higher education the same working principles apply: Professors and students can jointly work in books or scripts of lectures. This makes preparing for the next group session or lecture a lot easier and comprehensive. With lectory not only do you have a real time view of the learning progress of a given group. You can also easily document the group process during or at the end of a project: Just export the entire group content to a PDF for further reference. All annotations, comments, replies and underlines are available in the PDF either to be used for the preparation the exams or as an archive copy of your joint work. Book marketing – Offering readers an opportunity to not only look inside but also “meet inside” the book is a perfect selling opportunity. Lectory can facilitate “Social Readings” by authors, where readers can talk to their favourite authors inside their books and you have book communities like Goodreads or your own personal mini book club can offer a community based reading experience. As a publisher you create your own book clubs and invite influencers or journalists to give you valuable feedback in a private and protected environment. Or have authors come and meet readers inside their own book and answer questions. But lectory shines as a workflow tool for the publishing process as well: How many eBooks do you send around inside your company and to outside co-workers to get feedback and input for the publishing process, for marketing material, for evaluation? Quite a lot, right?! And all the feedback and input is then scattered across quite a few mail inboxes in your organisation. So why not create closed project group with everybody involved and have all their input in one place and visible for everybody in the group? Makes sense, doesn’t it? Do you already have a lectory code? Then you can register here. *Without lectory code registration is not possible. You must have been invited to lectory before.